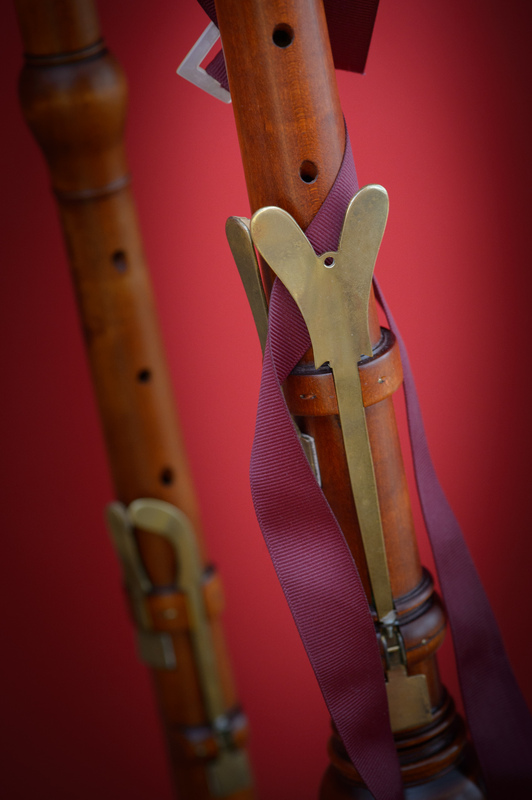 These two instruments are perfect for the tenor and baritone parts in a late 17th and early 18th century oboe band. 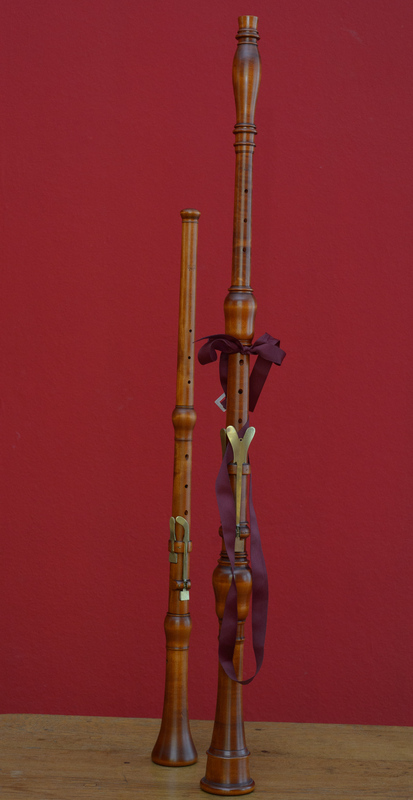 The two top parts are played on oboes or oboe d'amores, the third part on the tenor oboe, also called taille and with the same range as an oboe da caccia, the fourth part on baritone oboe and the fifth part on a bassoon. All the French music of Lully and Philidor fits perfectly, but also music by the the German composers Kusser and Fischer or even Muffart. In this 5 or 6 part wind band music just the outer voices are demanding. When you have to play an inner voice you need to spice it up a bit to keep your interest. Why not with a new instruments and a new sound? The line above the bass part is often quite dull, but on a baritone oboe it is great fun to play... at least for a couple of hours. The tenor oboe has a very special quality. Like the modern English horn it can move emotions quite fast. And it's range takes me often to play baroque recorder sonatas on it.